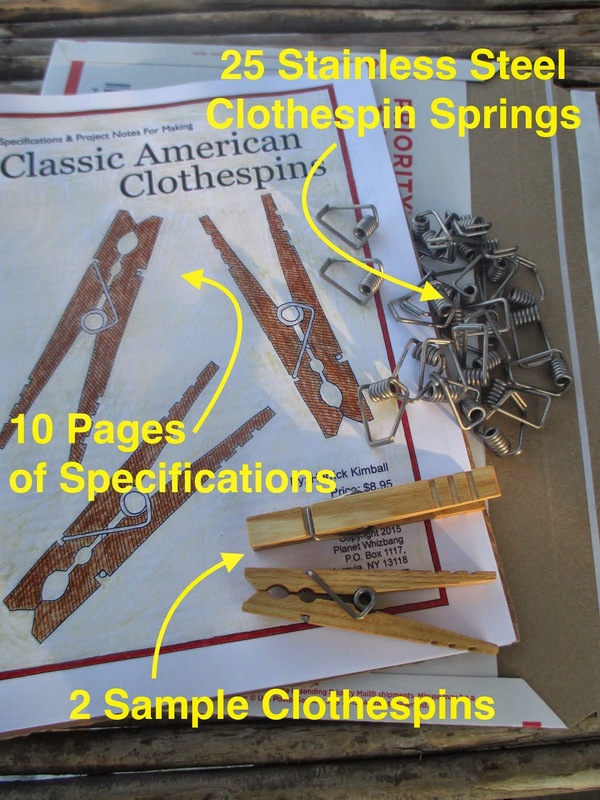 I have put together a 10-page specifications pdf download for anyone who wants to make their own clothespins. In addition to the 10 pages of clear specifications & project notes, the download has a link to a special web site I have created. The web site is loaded with pictures (taken in 2012) of my clothespin-making procedures, and some homemade tools I have developed to make the job of producing clothespins safer and easier. The special web site is updated with new information as needed, and you can sign up for the newsletter I send out to notify subscribers (as needed) of any new developments. Important— Please be aware that the specifications I’m selling here do not present a complete clothespin making how-to. 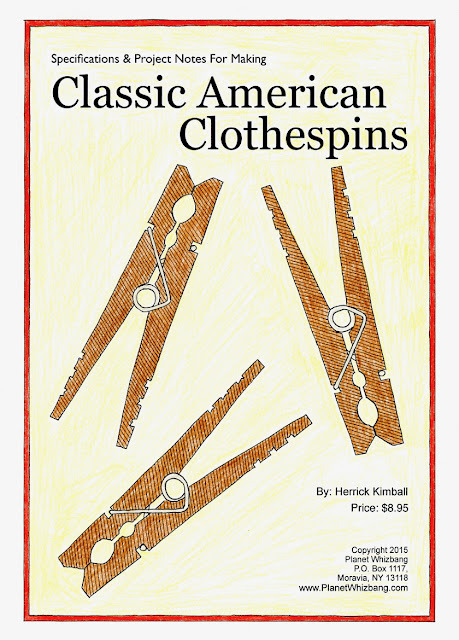 They are simply a series of drawings that provide specifications, along with other important information, for each step of the clothespin-making process. If you are a skilled woodworker, you will find the specifications to be complete, and a very useful guide. The special web site serves to provide further important information, but is also not a how-to tutorial. Please do not purchase these specifications if you are not already a skilled woodworker. In addition to the pdf specifications I recommend that you purchase a sample 2-pack of Classic American clothespins AT THIS LINK. 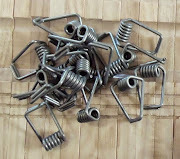 Then, once you understand the process, you can decide how many clothespins you want to make and purchase springs AT THIS LINK.